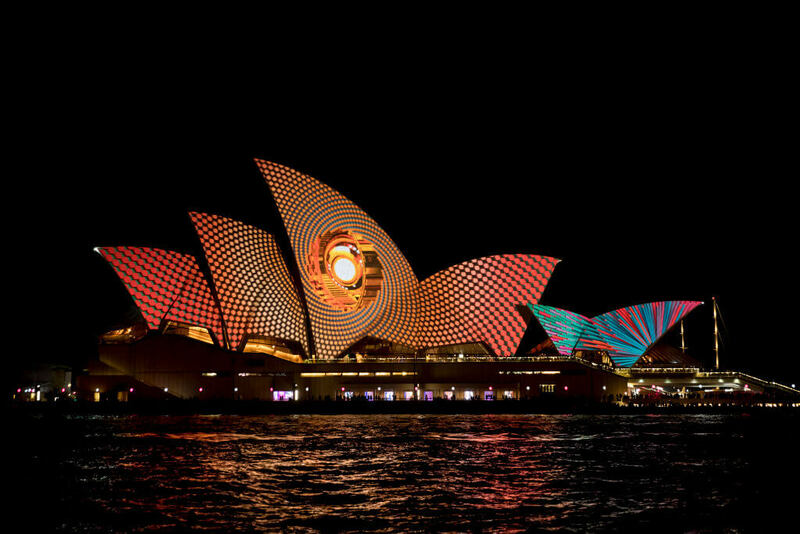 The sails of the Opera House are lit to start the Vivid Festival. 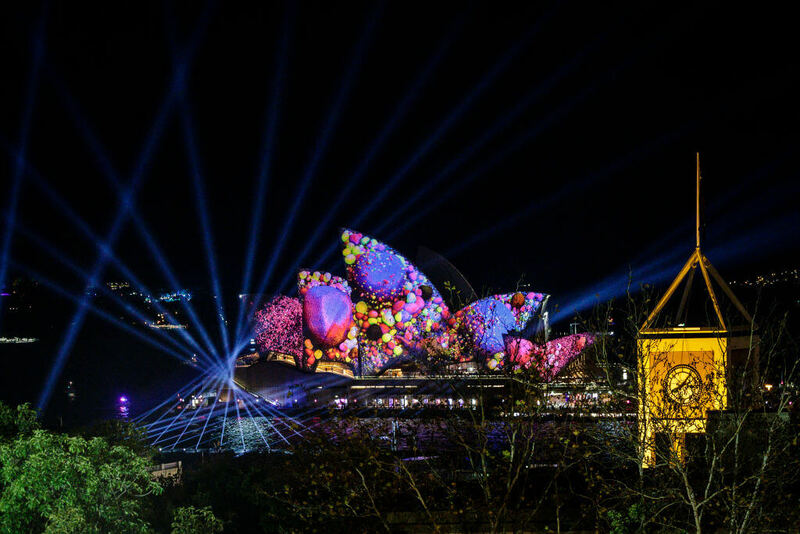 The festival features an array of incredible and clever art installations and events happening every night throughout seven precincts in the city of Sydney. 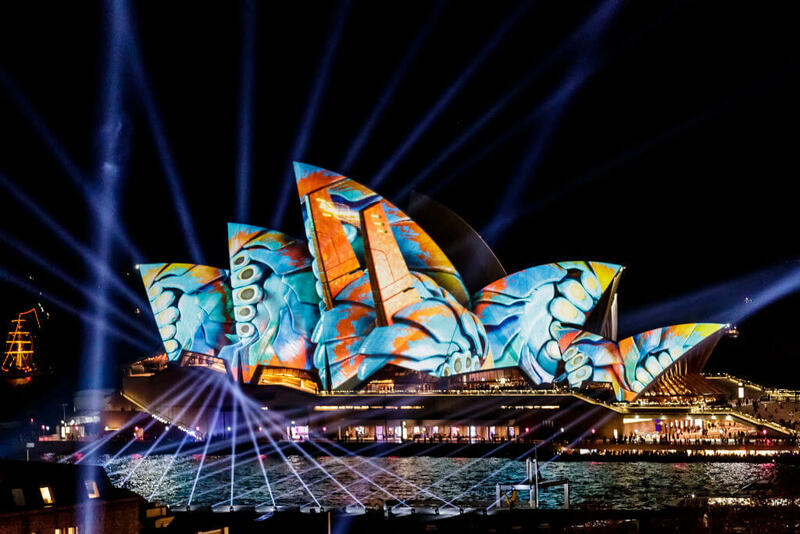 Vivid Ideas presents a series of conversations and talks with creators, featuring guests such as Academy Award-winning director Oliver Stone, Buzzfeed founder Jonah Peretti and street artist Shepard Fairy. 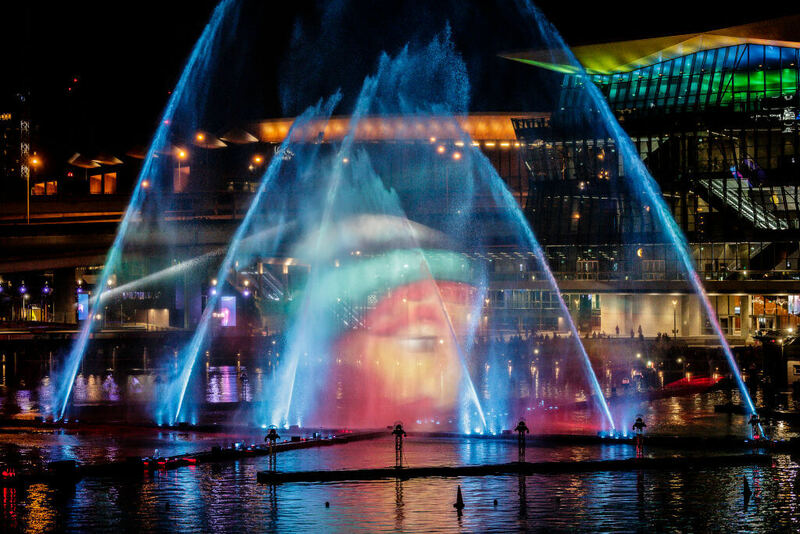 The Magicians of the Mist lightshow at Darling Harbour during Vivid Sydney.